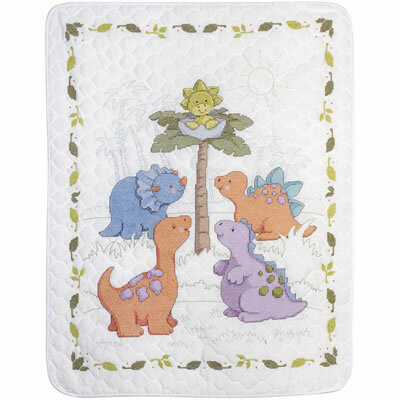 ***Stamped*** Dinos adorables! Full kit from Bucilla includes prequilted stamped crib cover, DMC floss, needle, pattern, and instructions. The quilt measures 34" x 43".